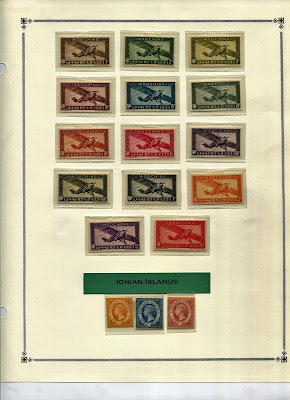 I find Inhambane’s stamps as dreary as beauty school dropouts. 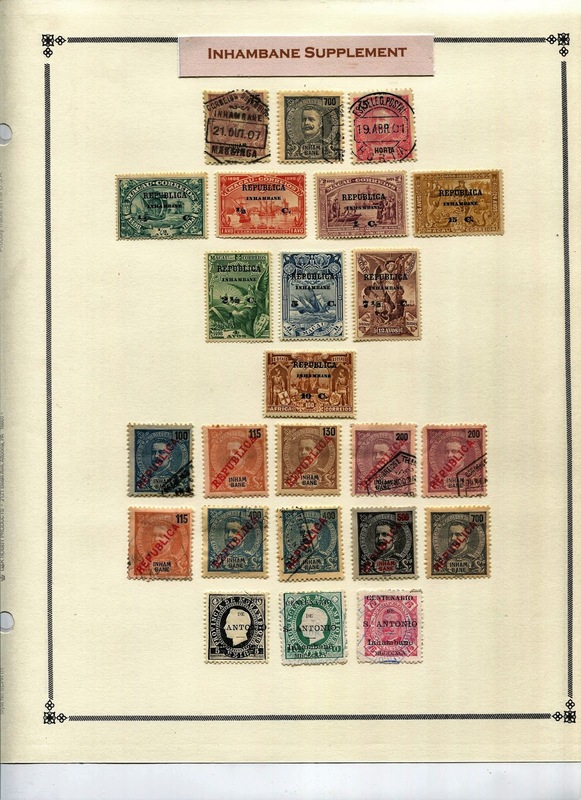 They’re standard Portuguese colonials that, even with date-visible cancels, fail to stir a scintilla of my curiosity; except, perhaps, the three Mozambique stamps overprinted "CENTENARIO / DE / S. ANTONIO / Inhambane / MDCCCXCV" (see supplement page). 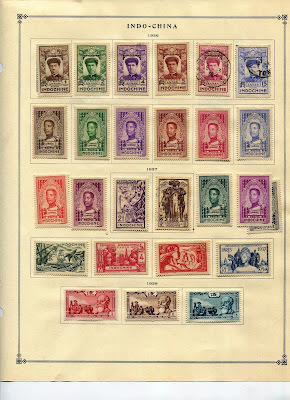 Inhambane, known today principally by stamp collectors, is one of several Mozambique districts that for a few years in the early 1900s had their own stamps. 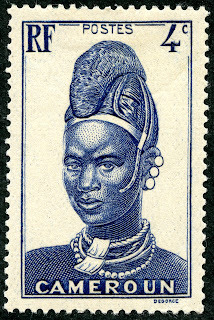 So, I’ll comment, not on the stamps, but on a haunting memory of my 2007 visit to Mozambique -- the rubbish pickers. 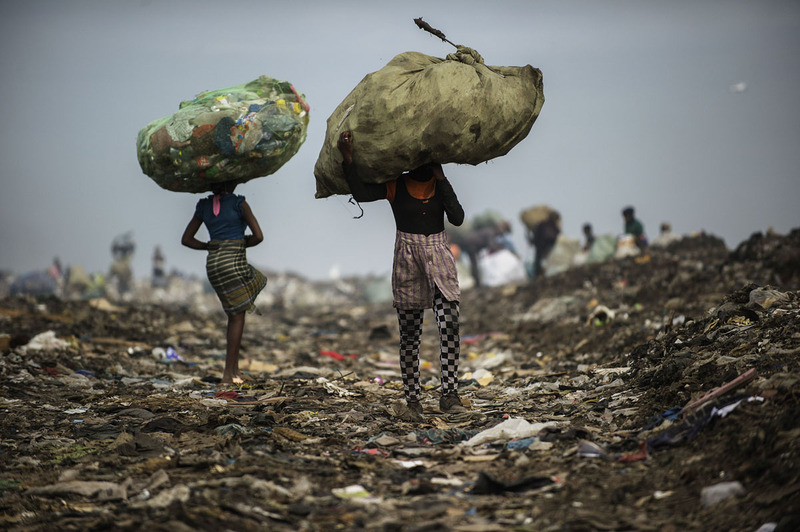 There are thousands of them, and they sort through the trash of every dump in the country (in many other countries, too). 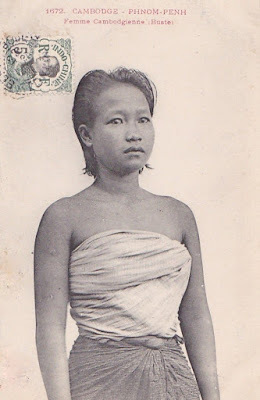 The above pic, although not one I took, is close to what’s etched in my brain. 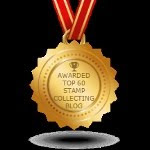 Rubbish pickers and stamp collectors have much in common. 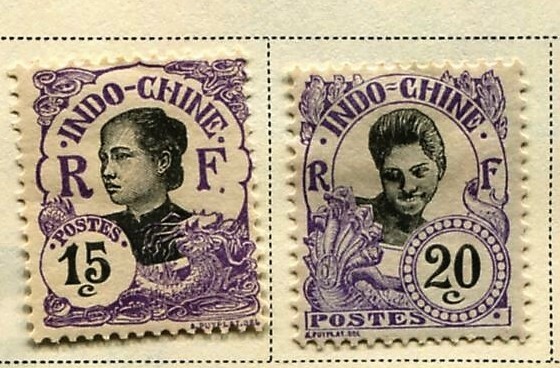 Both are adept at sorting odd bits that ordinary folk think worthless, and they’re persistent. 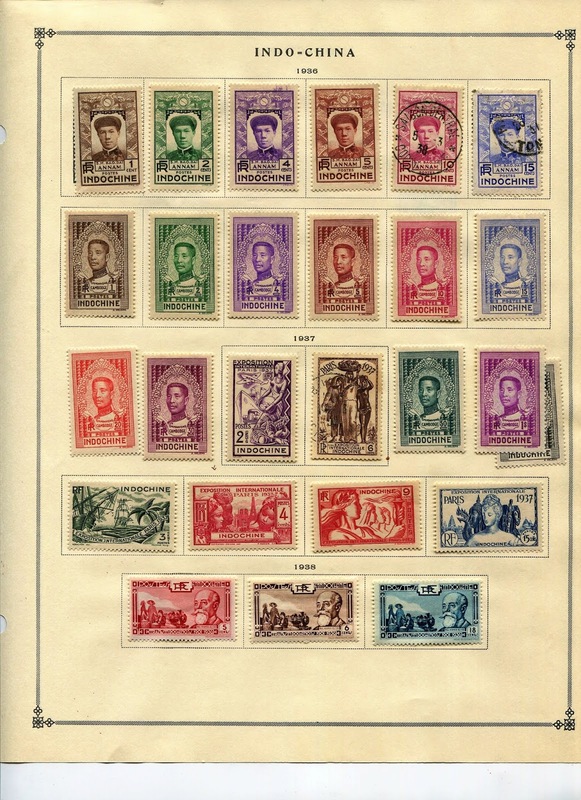 Both have a discerning eye for what might be valuable. Both, as informal solid waste workers, engage in basic recycling. 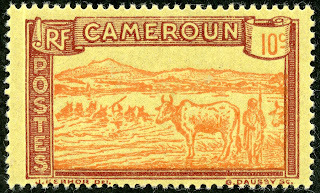 Both save space in landfills. 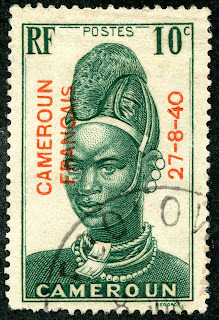 Both are easily delighted -- a piece of plastic jewelry or a stamp that fits a blank album space. 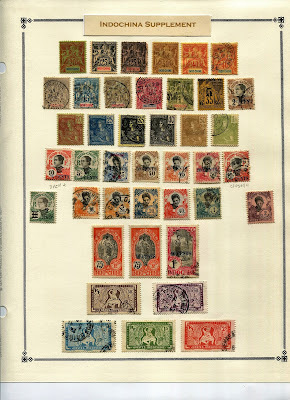 Mobile apps such as “I Got Trash” connect pickers with those who have what they want, much as ebay does for stamp collectors. 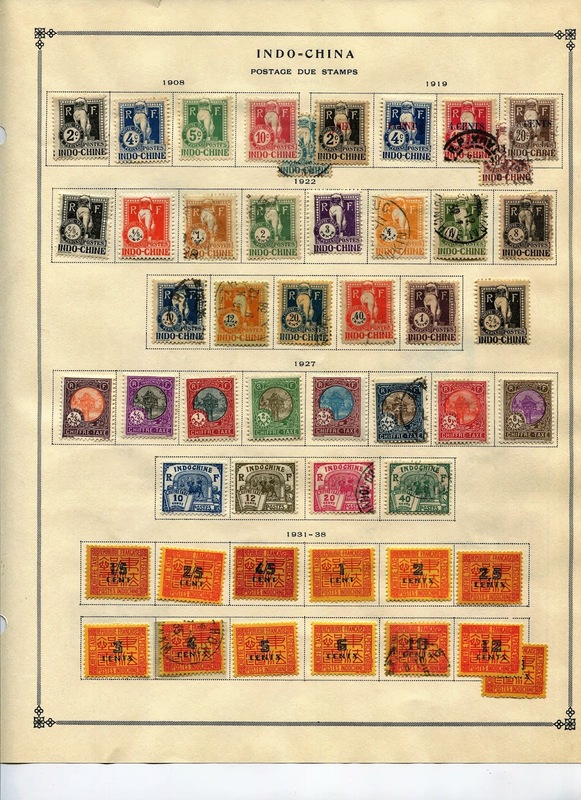 Rubbish picking is filthy and dangerous; my wife says stamp collecting is filthy and, if I scatter too many used stamp hinges, dangerous (to me). 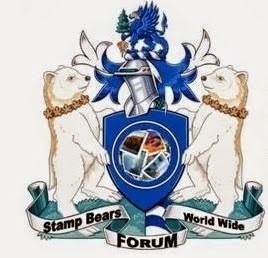 There is, undeniably, a public nuisance factor in both enterprises. 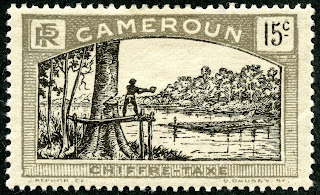 Theft, too, is sometimes associated with both. 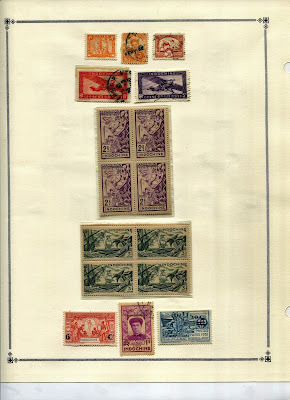 And it’s hard to make a living by sorting rubbish or stamps. 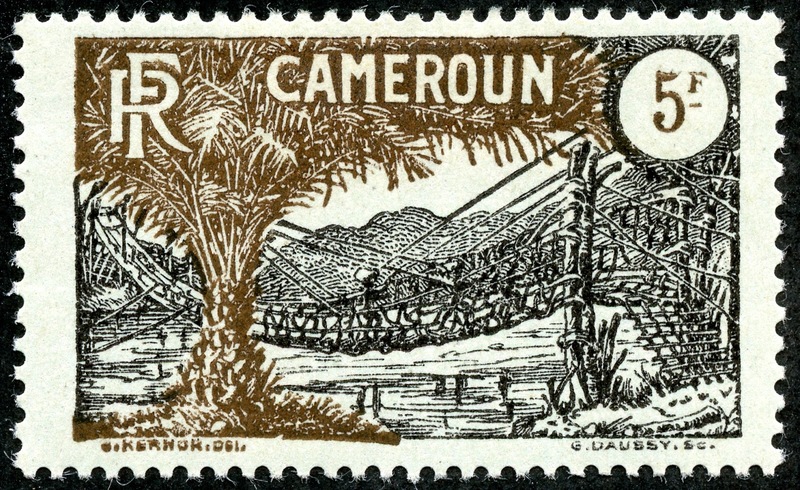 On the whole, though, rubbish picking makes the more valuable contribution to society: collecting garbage from places that lack public services, reducing dependence on scarce raw materials by recycling, creating jobs for otherwise unemployable people, expanding the lifespan of dumps and, ultimately, reducing pollution and global warming. 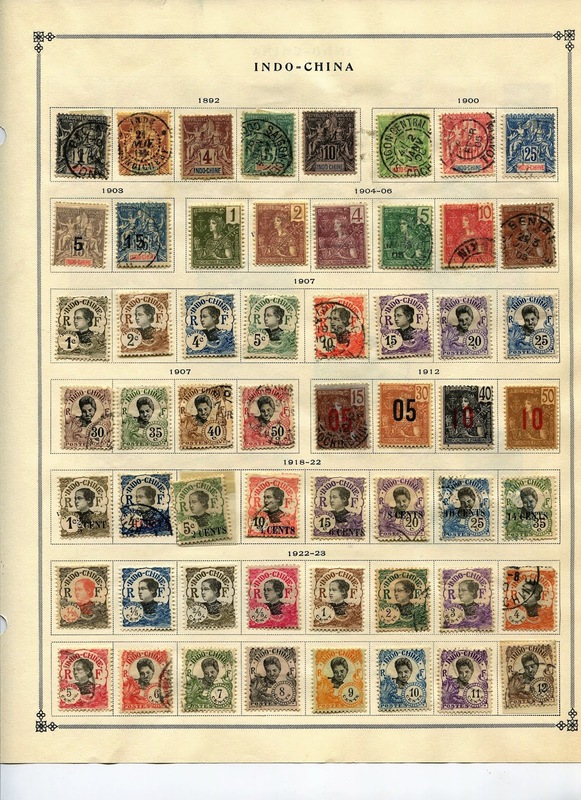 We stamp collectors need to increase our social worth. Error alert: top row of the supplement page shows a stray Horta stamp. 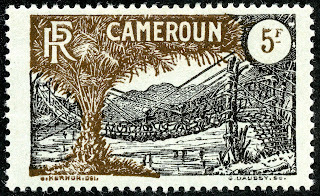 It has been replaced. Census: 37 in BB spaces, four tip-ins, 23 on the supplement page, not counting the Horta. 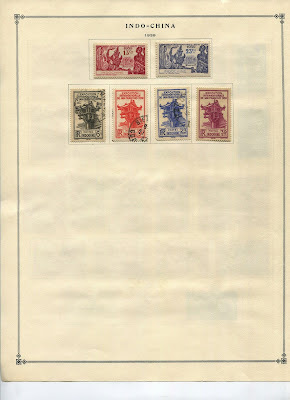 Since the scans were made, I’ve collected another seven, although I don’t know why. 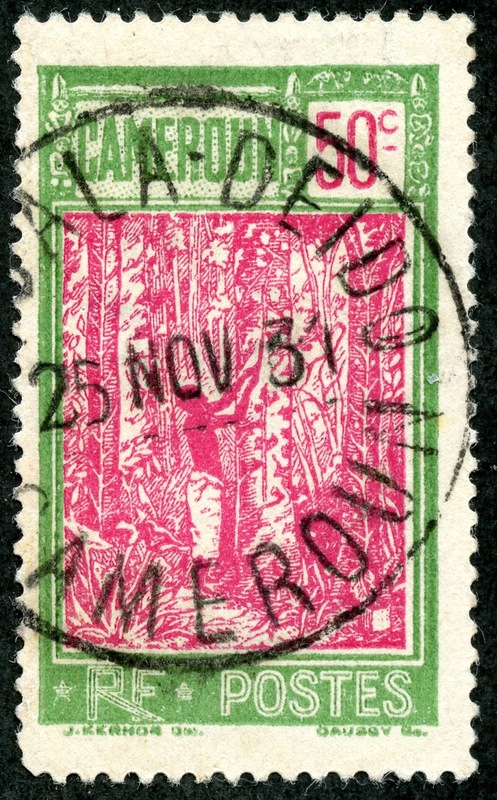 I find the repetitive designs used for every Portuguese colony a bit boring. But a bit of historical understanding is needed. 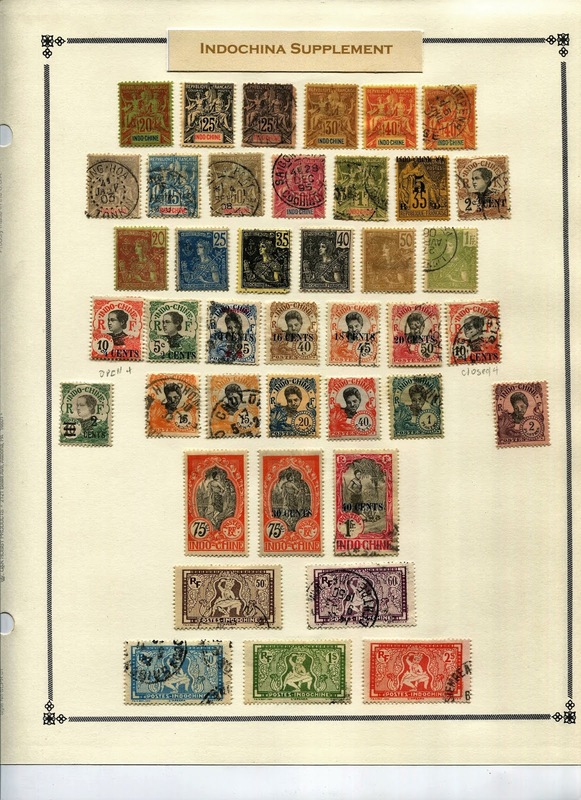 Portugal was not a rich nation. 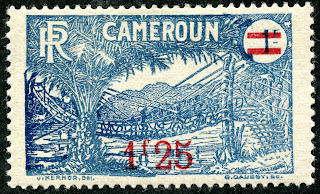 So the colonies, which were many, got there stamps "on the cheap". 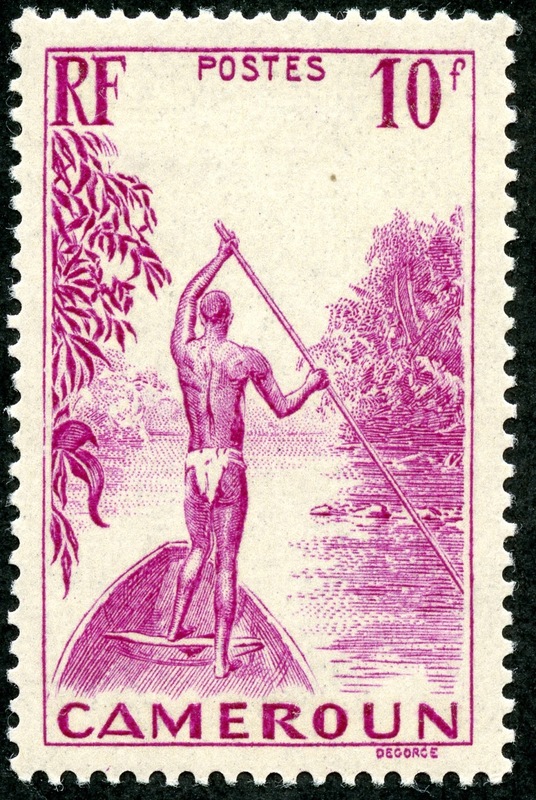 What I do find interesting are the exotic and remote places of many of the Portuguese colonies. It is curious, though, that Scott generally gives no increase in value for a used vs unused stamp. For me, a nicely postmarked Portuguese colony stamp means much more than simply an unused specimen. 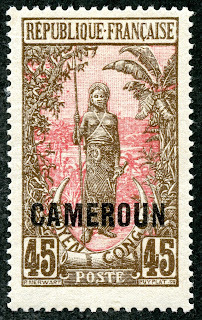 1921 Scott 157 40c olive green & orange "Bakalois Woman"
French design is on display here, covering the 1921-1940 stamps of Cameroun. 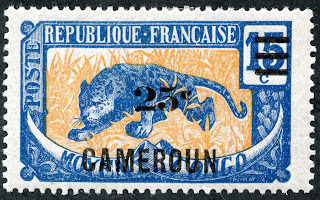 This period includes the 1921-25 Provisional French Mandate and the 1925-40 French Mandate era. 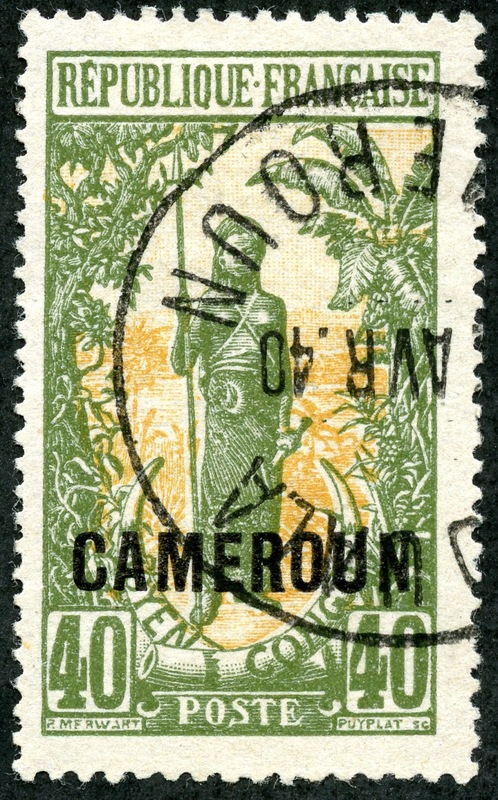 The 1916-17 issues, discussed in the previous post, were derived for Cameroun by overprinting the 1907 issue of the Middle Congo. 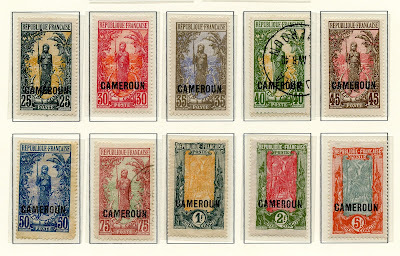 The 1907 Middle Congo issue designs were also used for the 1921 seventeen stamp provisional French Mandate release, but types were released this time. 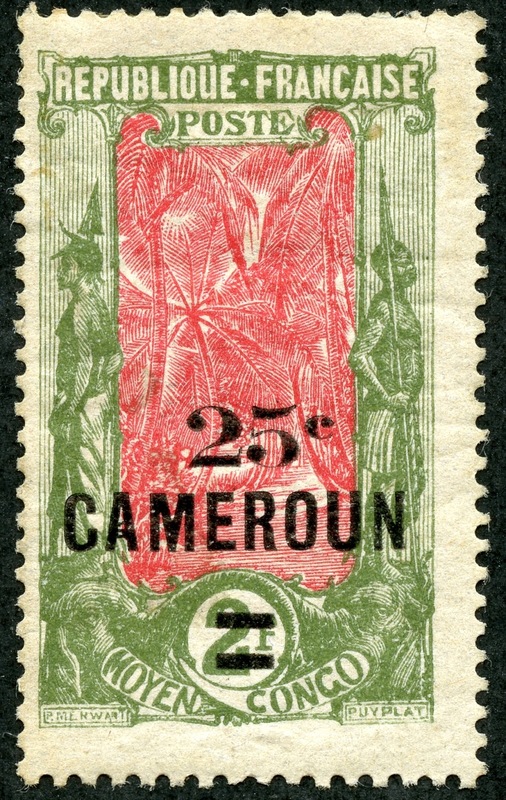 The types consisted of a change in colors for a given denomination. 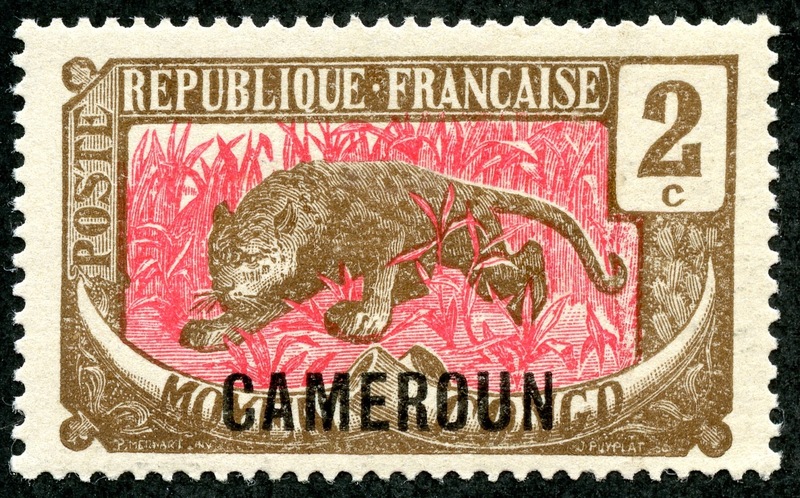 For instance, the above 2c brown & rose "Leopard" is a type of the 1907 Middle Congo issue, as the original 1907 2c denomination was colored violet & brown. 1921 Scott 158 45c brown & rose "Bakalois Woman"
The 1921 45c brown & rose "Bakalois Woman" was originally colored "violet & red" in the 1907 issue. 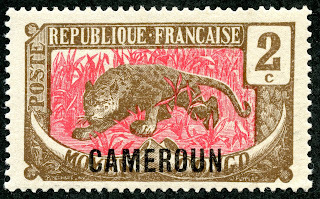 The seventeen stamp 1921 provisional French Mandate issue, besides a change in color, was additionally overprinted "Cameroun". I don't mind that the French reused these stamp designs as "types". 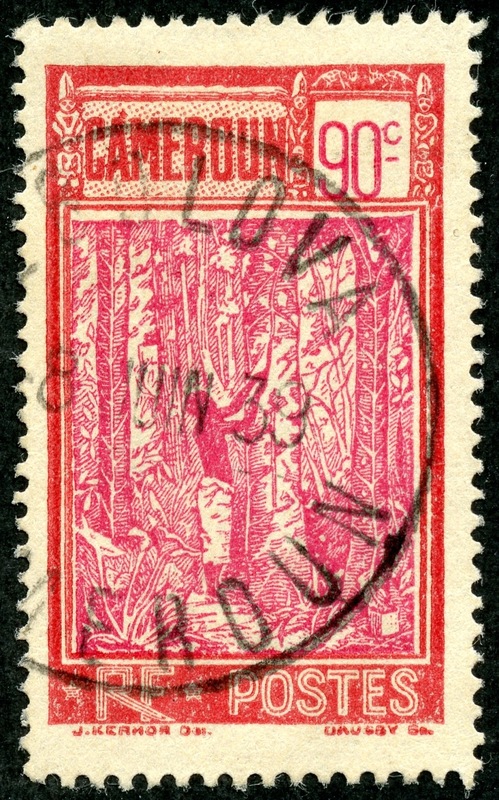 1921 Scott 163 5fr dull red & gray "Coconut Grove"
CV for the seventeen stamp 1921 issue ranges from <$1 to $8. Unused is valued slightly higher than used. 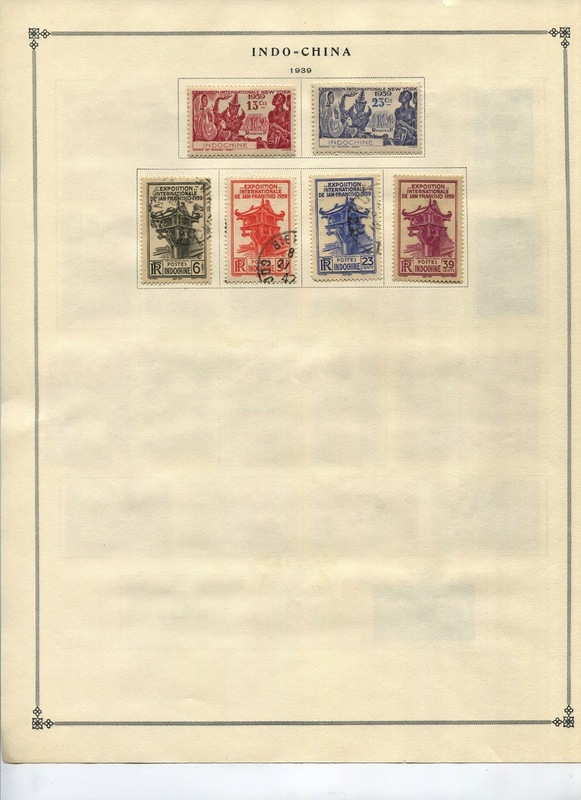 Covers that are franked with this issue are valued at about 9X -15X used. 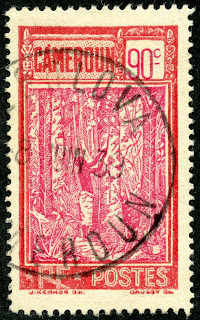 For instance, this 5 Franc dull red & gray is catalogued @ $9+ for unused, $8 for used, $60+ for cover, and $120+ on cover, single franking. 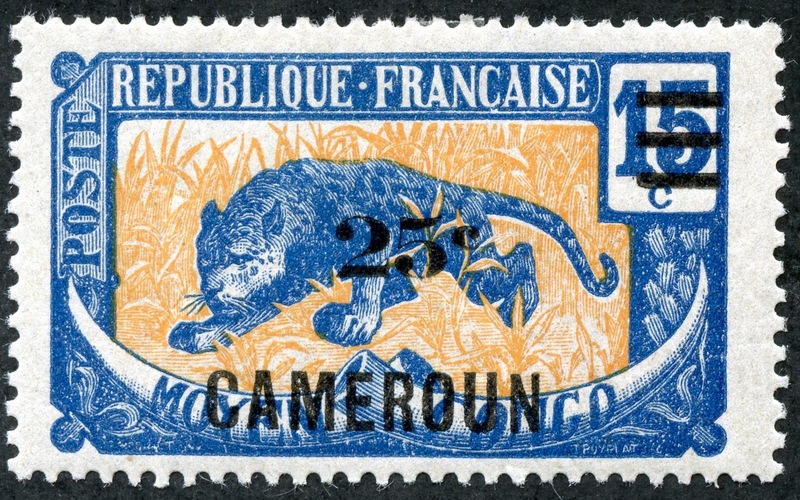 1925 Scott 164 25c on 15c blue & orange "Leopard"
Between 1924-25, five stamps from the 1921 provisional French Mandate issue were surcharged with new values and bars. 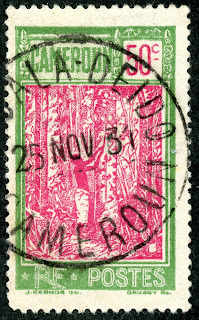 1924 Scott 165 25c on 2fr green & rose "Coconut Grove"
Three stamps in the issue were surcharged 25c, one stamp 65c, and one stamp 85c. 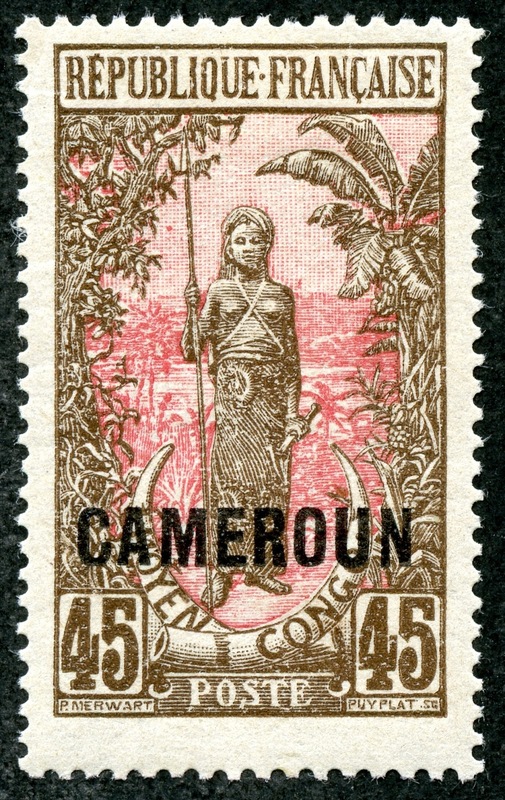 Other French colonies in Africa (examples-Togo, Chad, Gabon) had similar surcharges for their issues during this time period. 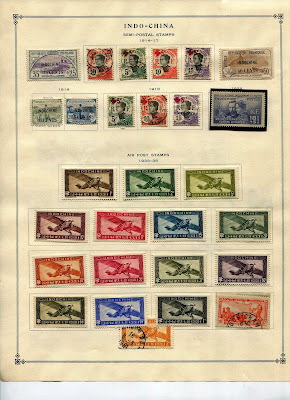 CV for the 1924-25 five stamp surcharged issue ranges from $1+ to $2+ - quite inexpensive. 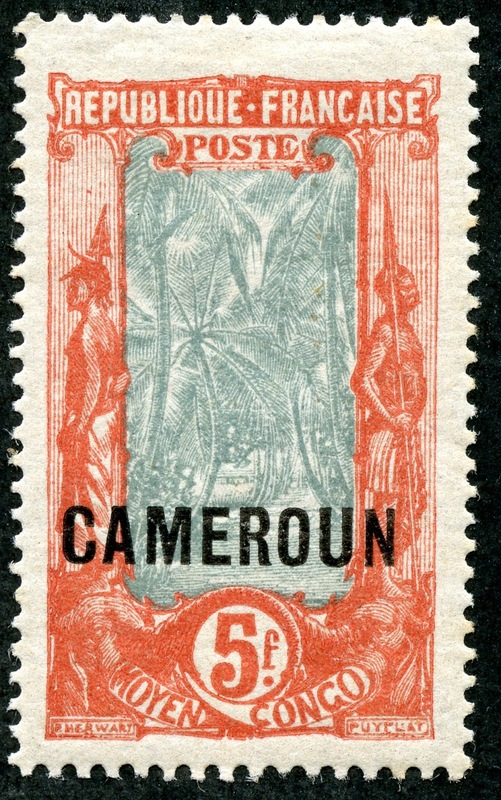 To generalize, French colony stamps tend to be less expensive than British colony stamps. 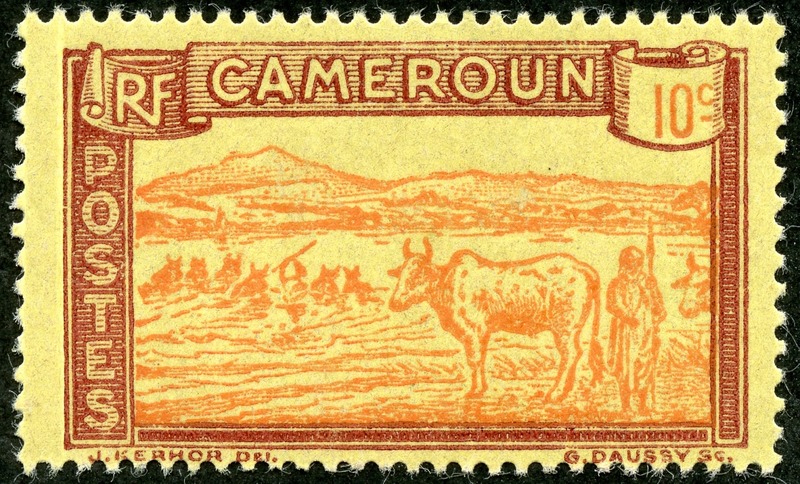 "Herder and Cattle Crossing Sanaga River"
With the formal French Mandate in place, a new three design, forty-two stamp issue was released from 1925 to 1938. 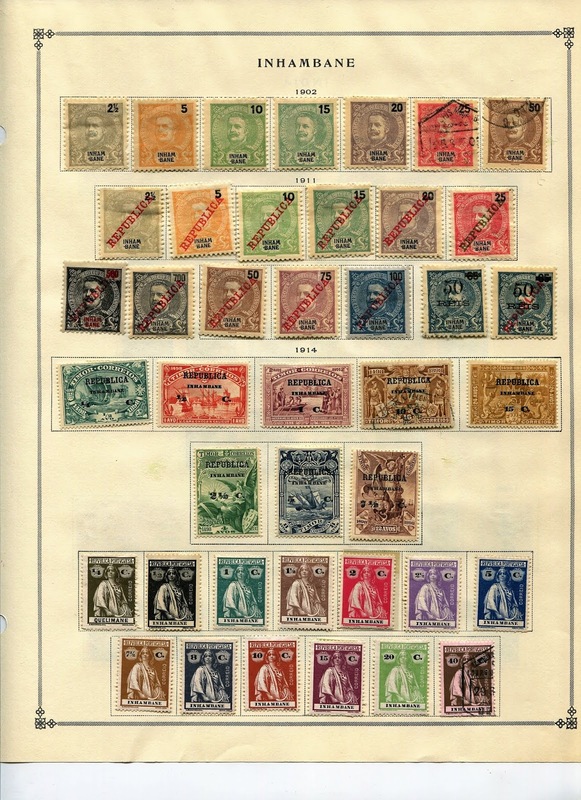 The seven lower denominations have the above design in bi-colors. 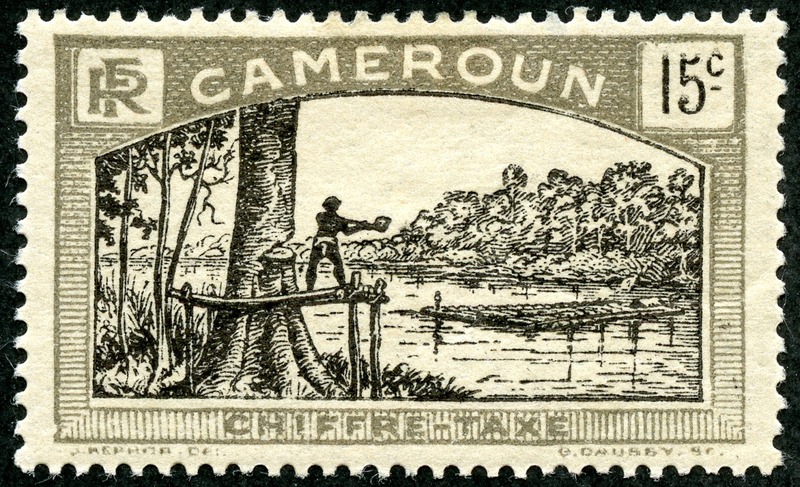 The twenty-one middle denominations show a rubber tree being tapped. 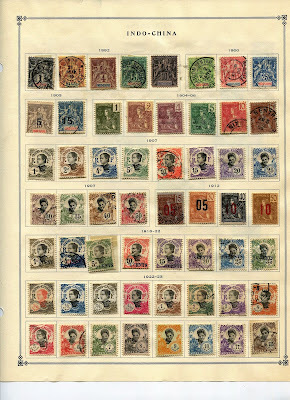 The fourteen higher denominations have the design as shown. 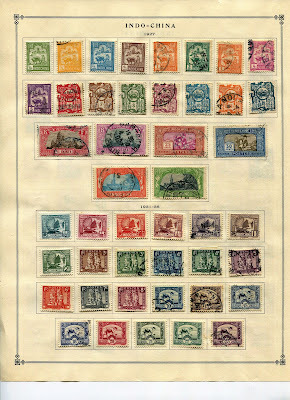 CV for the entire forty-two issue is <$1-$15, with thirty- nine stamps @ <$1-$4+. 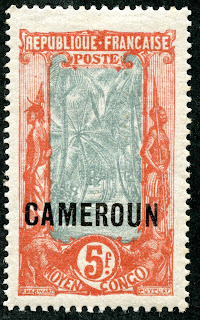 In 1926, the 1 Franc dull blue, which was also first issued in 1926, was surcharged as shown. The unsurcharged stamp is <$1, and the surcharged stamp is <$1 - about the same. 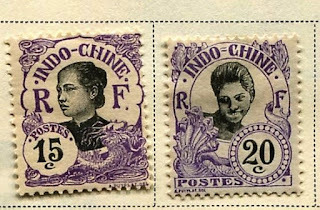 Between 1939-40, a 30 stamp engraved issue with four designs was released. 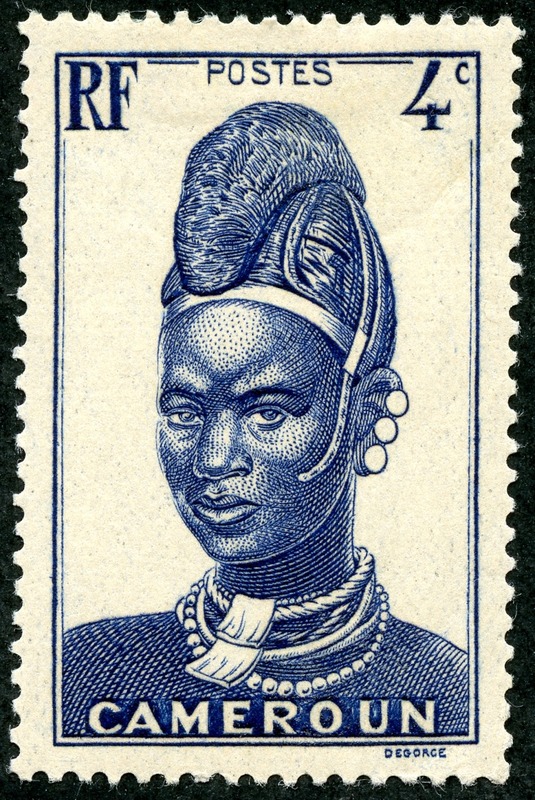 The most striking (to my eyes) is the "Mandara Woman" for the seven lower denominations. 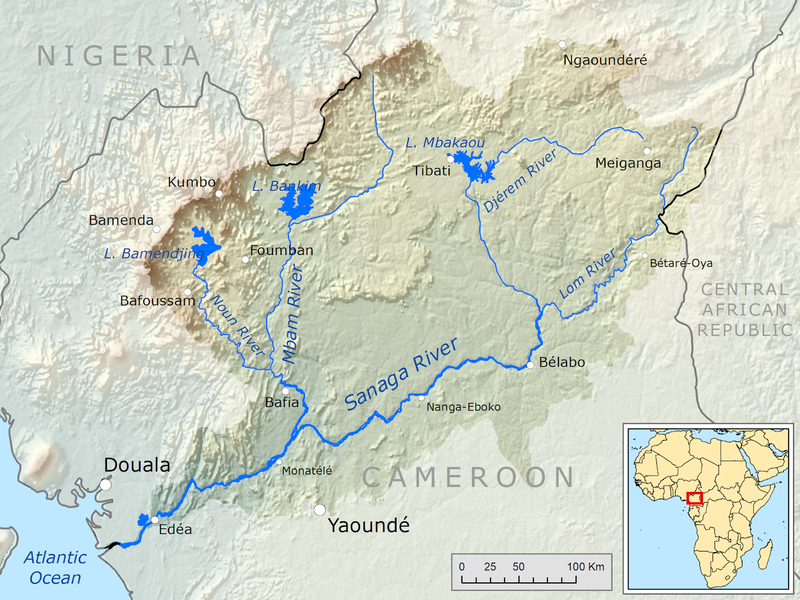 The people came from the Mandara (Wandala) kingdom in the Mandara Mountains in Cameroon. 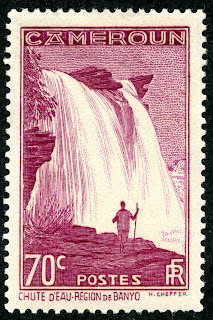 "Falls on M'bam River near Banyo"
The middle seven denominations featured a cataract on the M'bam River. 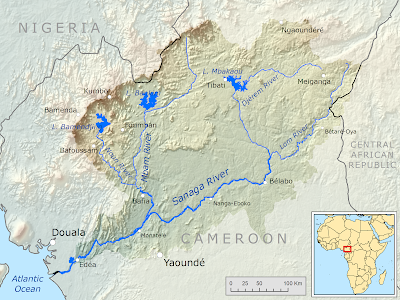 The Mbam River is a tributary of the Sanaga River. 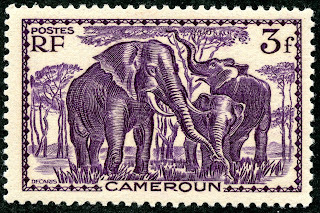 1939 Scott 251 3fr dark violet "Elephants"
Lovely engraved design for the twelve middle-upper denominations. 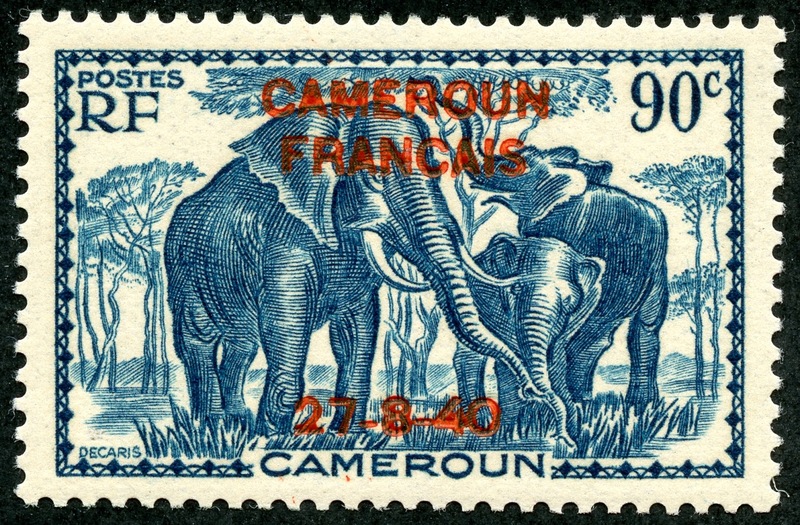 All is not well with the Elephant population in Cameroun, however. 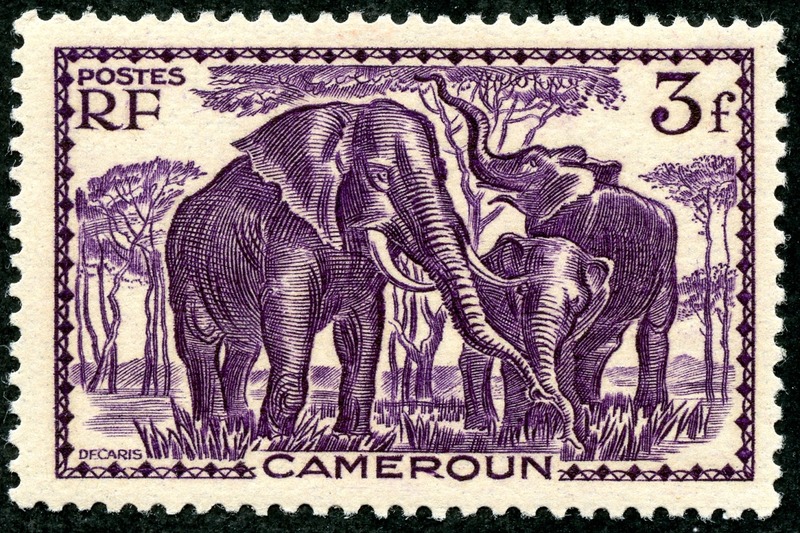 In 2012, over half (450) of the Elephants were killed for their ivory that resided in Bouba N'djida National Park by poaching gangs from nearby Chad and Sudan. 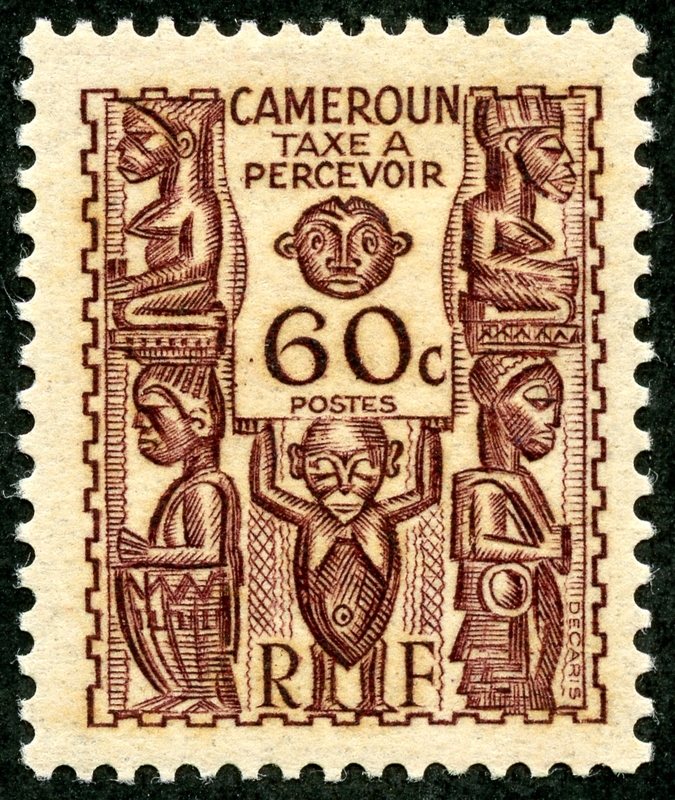 The three highest denominations feature this design. CV for the 30 stamp issue ranges from <$1 to $3+. 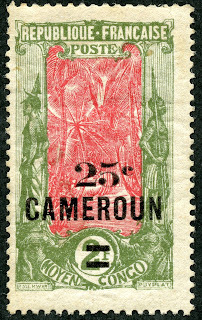 "Cameroun Francais" and the August 27, 1940 date was overprinted on 31 stamps of the preceding 1939-40 issue. 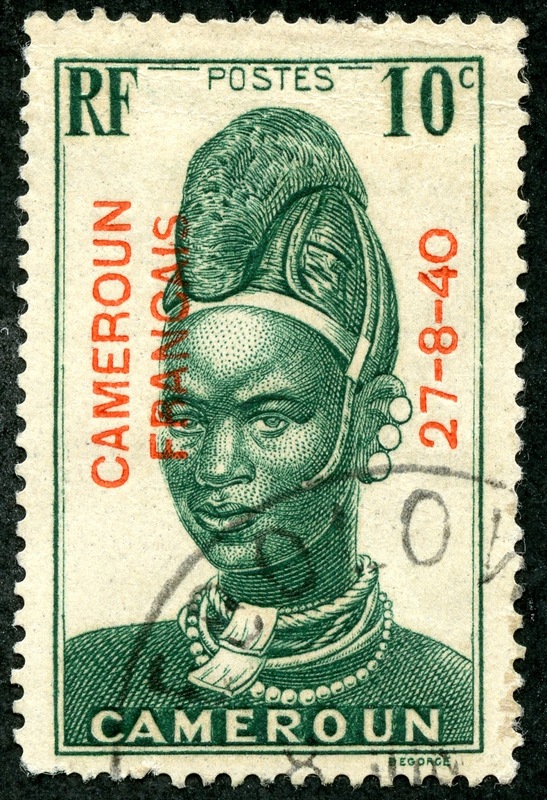 This was to acknowledge that Cameroun was affiliated with General de Gaulle's "Free France" movement. 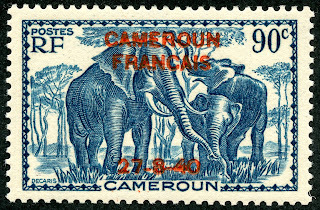 1940 Scott 268 90c Prussian blue "Elephants"
CV for the issue is higher than most Cameroun stamps, ranging from $1+ to $190. 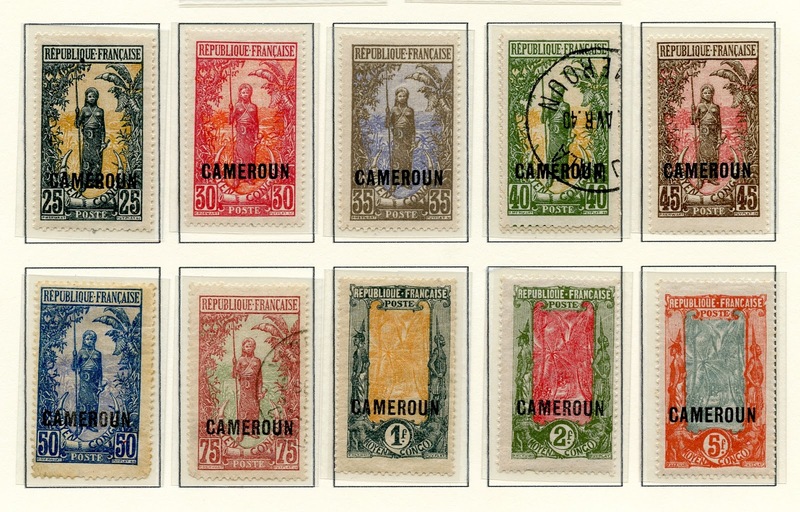 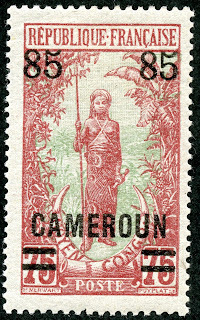 Unlike most postage due releases around the world, Cameroun ( and often other French colonies) has a pictorial for the 1925-27 thirteen stamp issue. 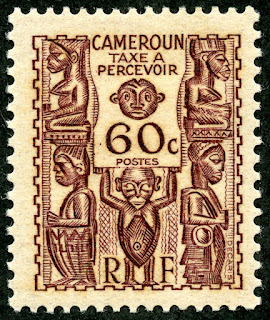 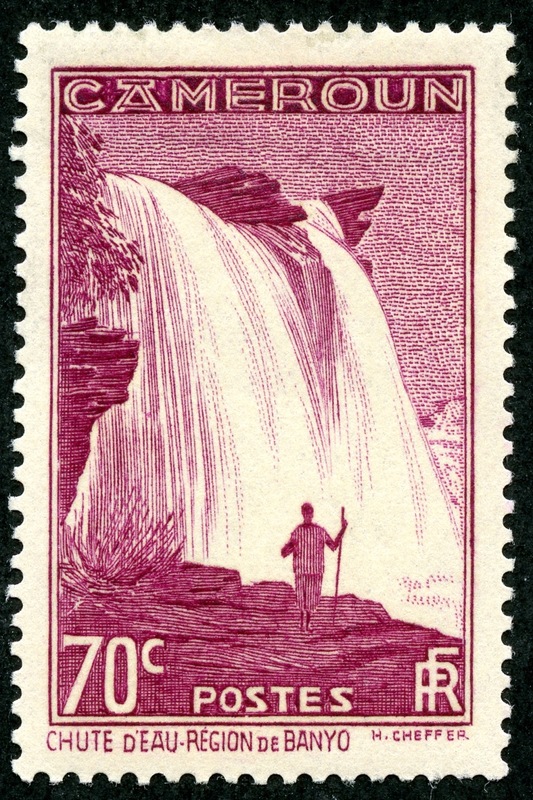 The 1939 postage due engraved issue of ten stamps has an attractive "Carved Figures" design. 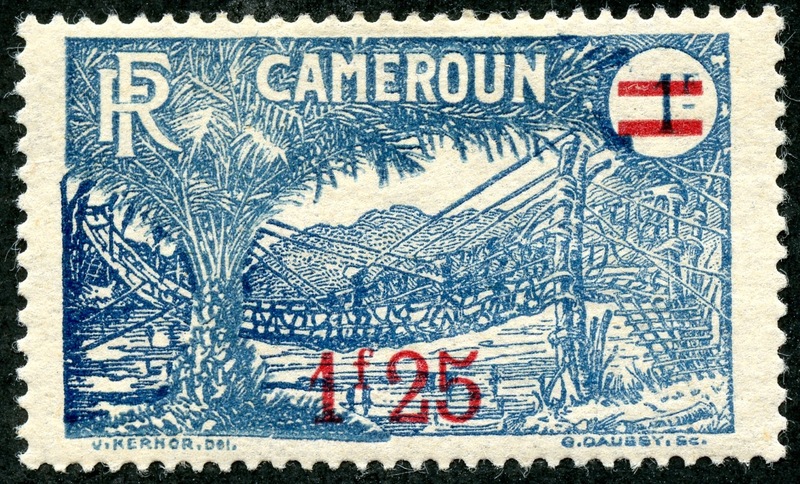 Deep Blue (Steiner) has fifteen pages for the 1921-40 stamps of Cameroun. 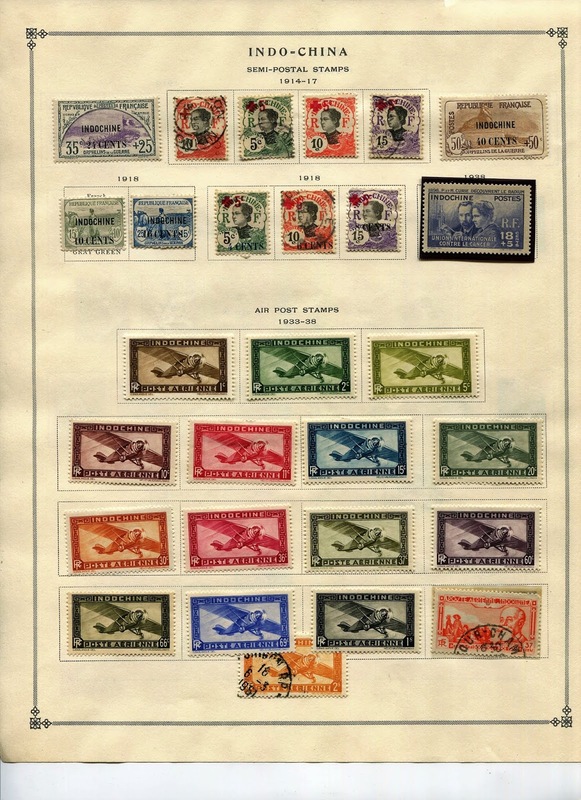 All of the Scott major numbers have a space. 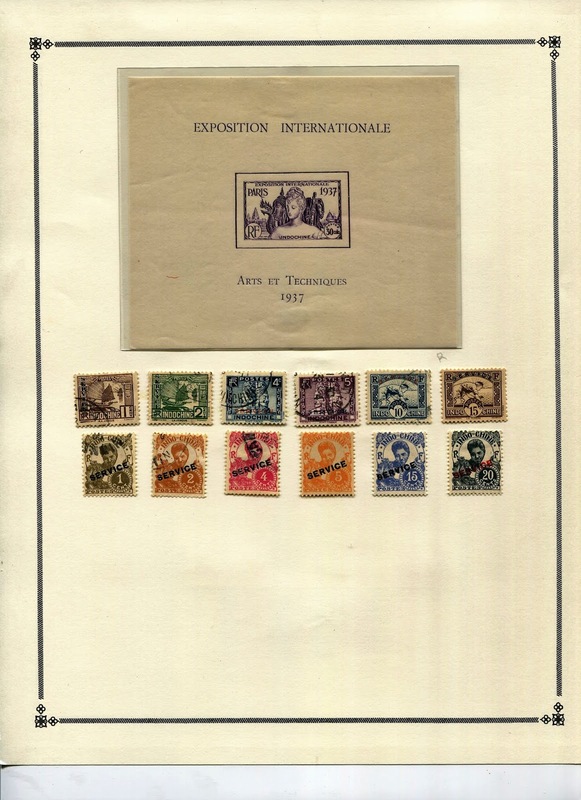 One can see why French designs are almost universally admired by the WW collector. 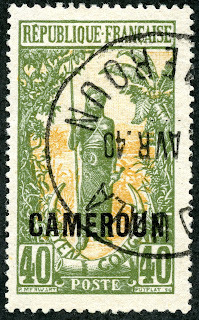 Note: Map appears to be in the public domain.